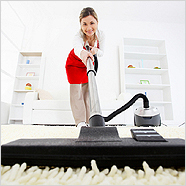 Welcome to Tabs Cleaning Services in West London. Professional property cleaning hygiene and maintenance. We are a family run business in West London who provide cleaning services to multiple business sectors and to the domestic market. We take great pride in our workmanship and we make effort to pay very close attention to details. Welcome to TABS Cleaning Services. * Providing quality-service since 1992. * We only use experienced and trustworthy staff on site. * Based in West London.